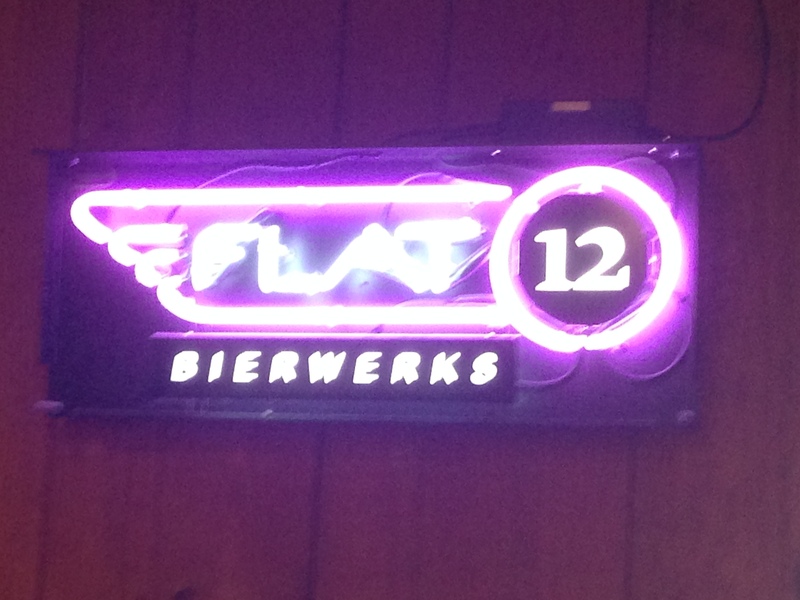 I stopped in at the Flat 12 Bierworks in Indianapolis, Indiana and enjoyed the Cucumber Kolsch which was deliciously light and refreshing. Neither cucumbers nor kolsch are my favorites, but put together this was a really delicious refreshing summer beer. 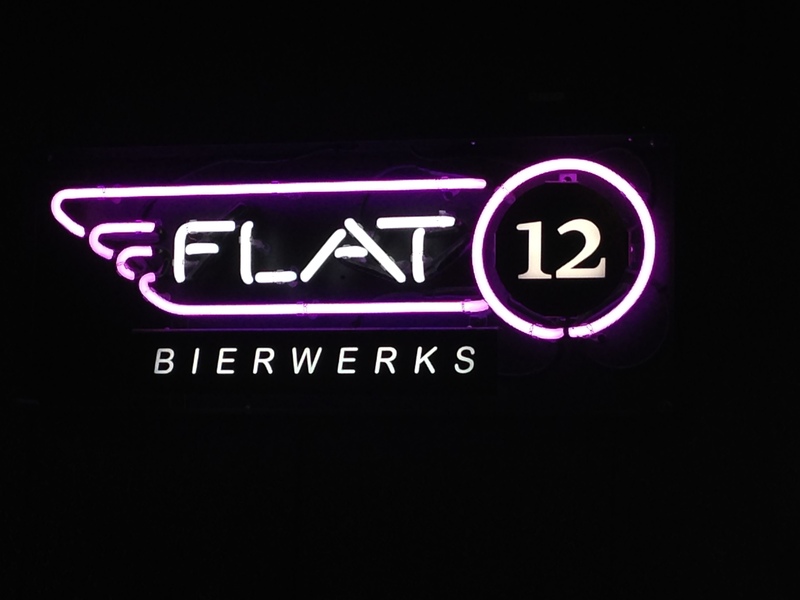 Flat 12 Bierworks has a great tap room plus a large outside seating area. 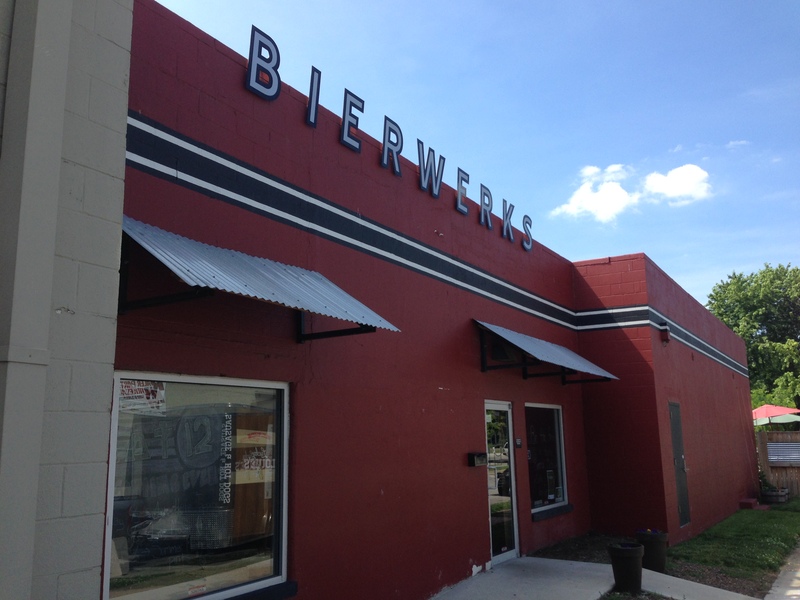 A great spot to stop and enjoy a good beer. 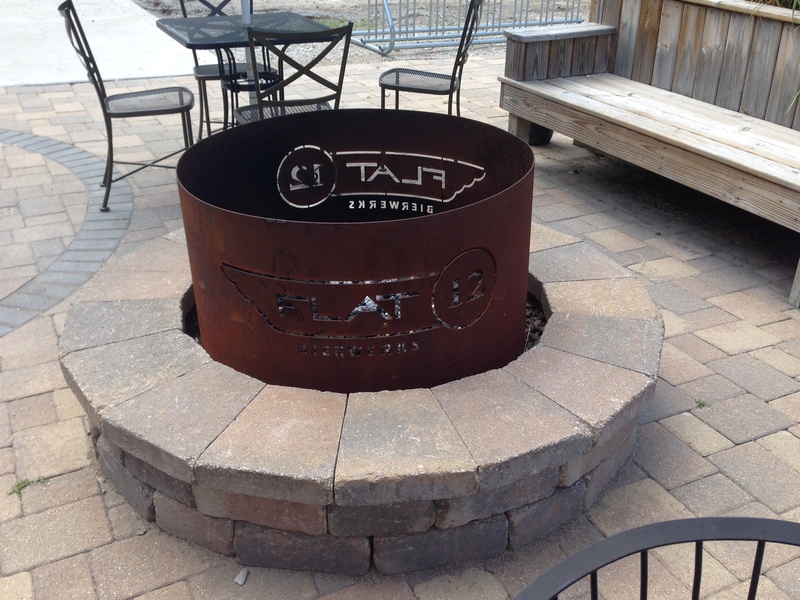 The fire pit outside is really cool. Check out the picture below. 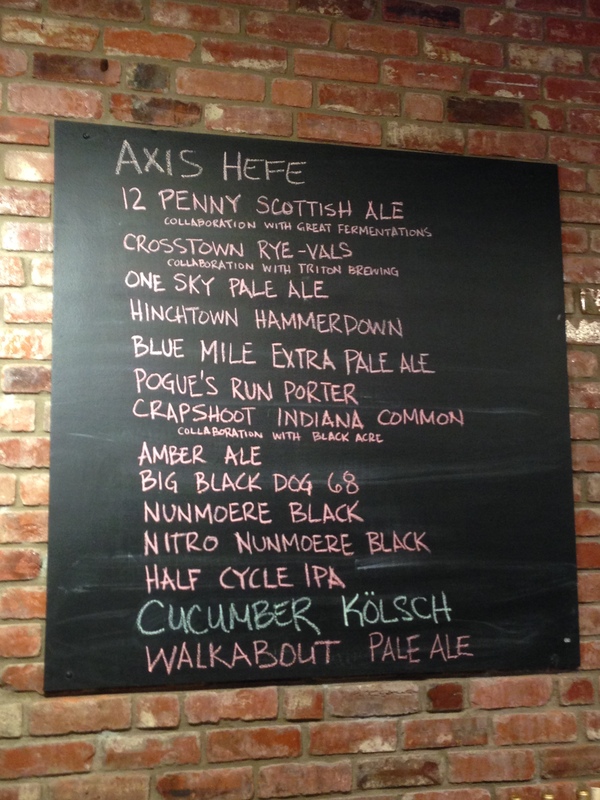 They have an extensive line-up of beers. See below. 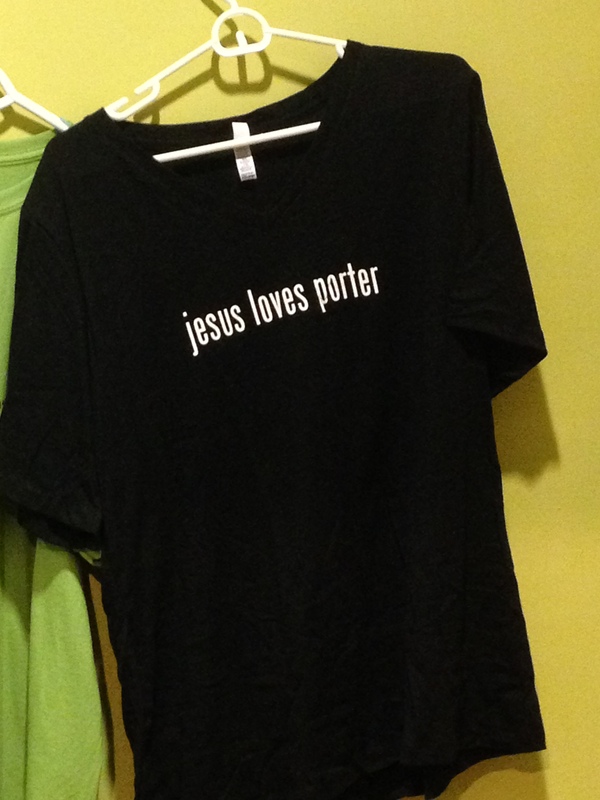 Plus I learned that Jesus loves porter.